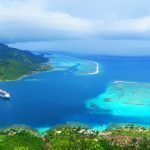 Moorea is known as the ‘magical island’ and with the shape of a heart, it’s so easy to understand why you fall in love with this place so quickly. 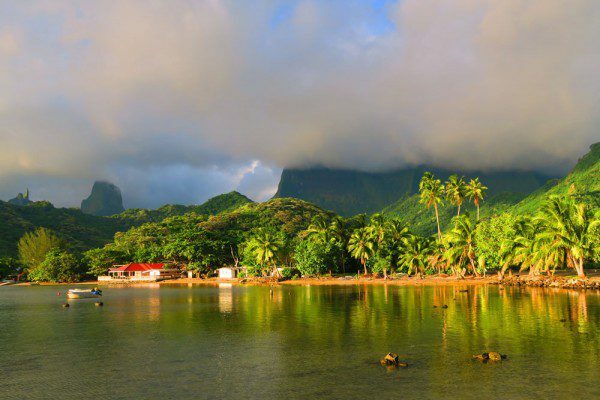 Just a 30 minute ferry ride from the big island of Tahiti, Moorea feels centuries away. 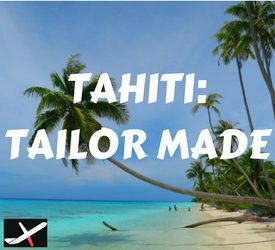 With a laid back vibe and time ticking away so peacefully as you’re living the Polynesian dream – you simply won’t want to leave. But wait! 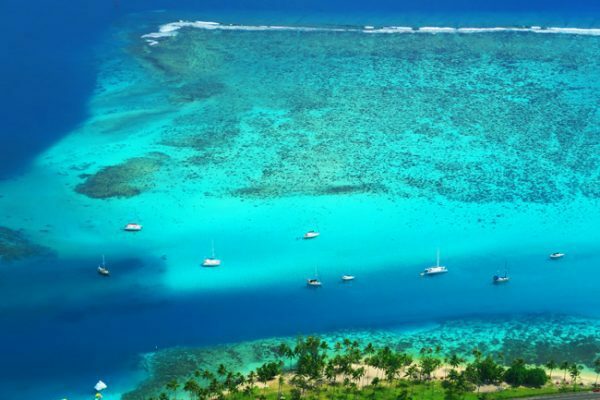 There are plenty of things to do in Moorea. It’s the perfect holiday package without the packaged holiday. 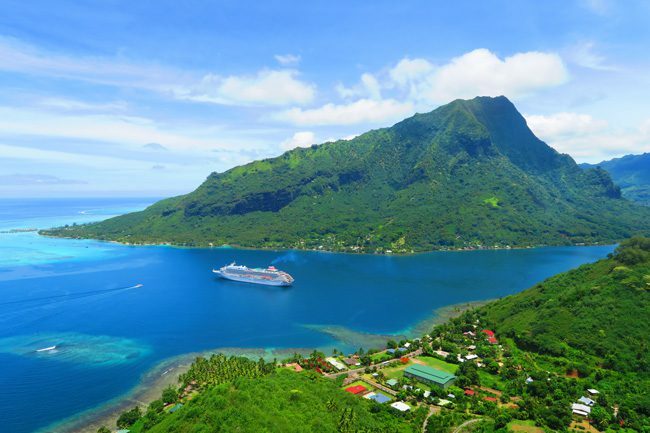 From diving to hiking to cultural shows to you just name it – Moorea has something for everybody. 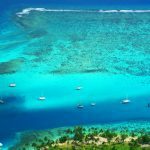 I spent a whole month in Moorea during a six month voyage across the South Pacific Islands. 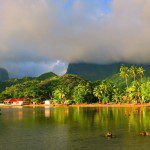 Here’s a week in Moorea itinerary. 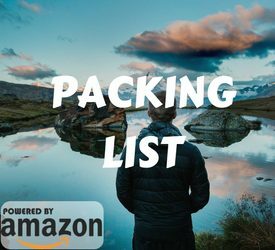 Use this itinerary as a reference for shorter stays, choosing whatever suits your liking. 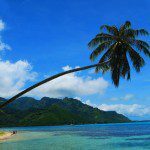 Where to Stay in Moorea? 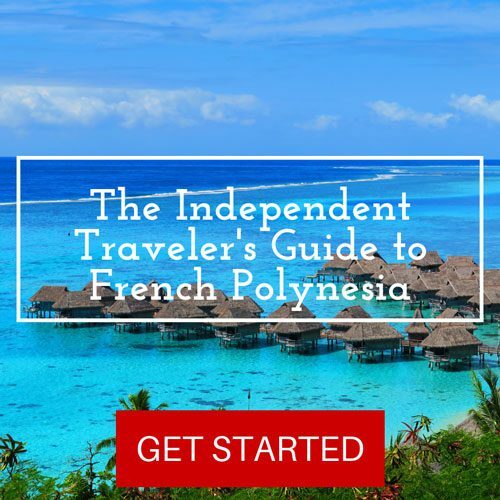 Moorea has accommodations types for every traveler, from camping to luxury resorts. Aim to stay somewhere on the northern coast of the island (where the large twin bays are located). If you love sunsets, the area around Haapiti is the best. 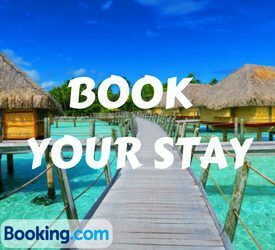 Here’s a list of all Moorea accommodations which can be booked online. 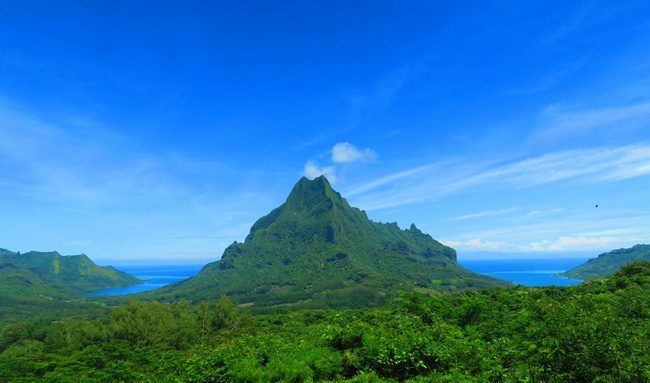 Pick up a car from Avis Pacific Car for the week and head to the Belvedere Lookout for some serious vistas (have a look at the Moorea Travel Guide for a special discount with Avis). The road snakes its way up the mountain before reaching one of the prettiest spots in French Polynesia. 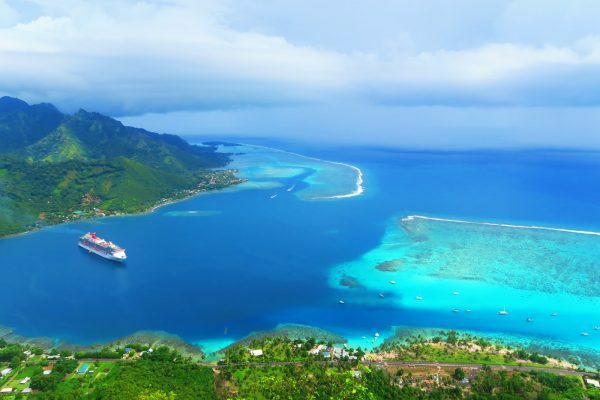 From up here, you’ll get a chance to see Moorea’s twin bays separated by Mount Rotui – so beautifully carving Moorea in the shape of a heart. 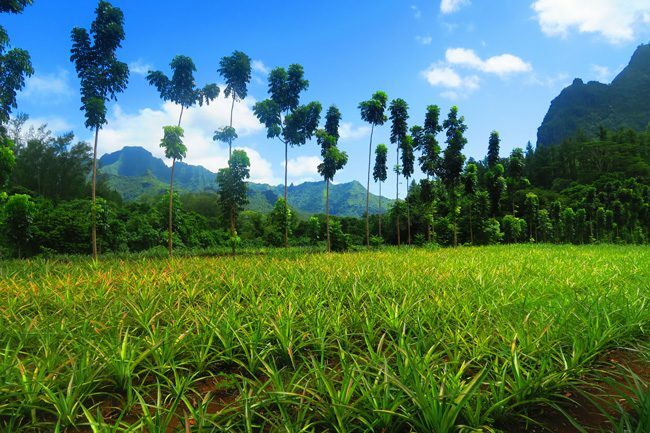 Beneath your feet is the lush Opunohu Valley, prime agricultural land where pineapples are grown. 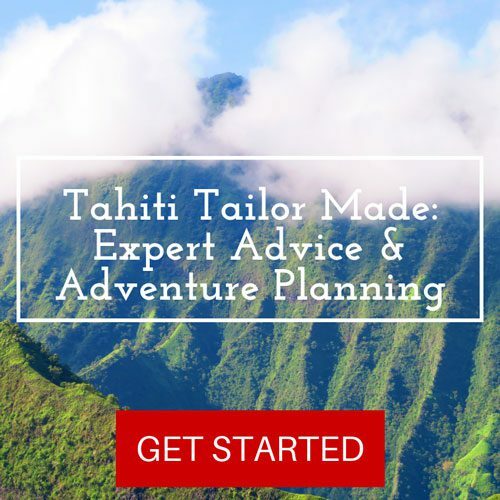 The Belvedere is the starting point for a number of hikes, the most famous is the Three Coconuts hike (more info in the ‘hiking section’ of the Moorea Travel Guide). Opunohu Valley is not only prime agricultural land, but also sacred land. 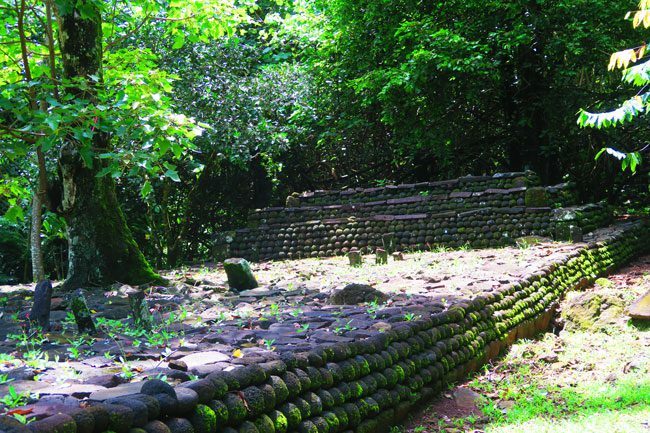 On the way back down, stop at the marae complex and explore a set of ancient Polynesian temples. Notice how nature has taken over this place, further adding to the mystery. 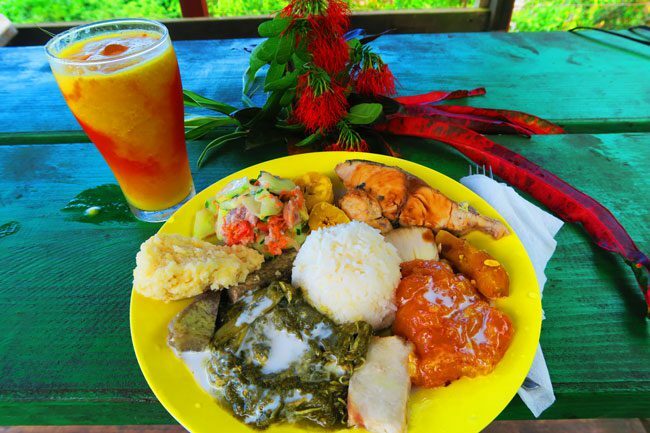 As you almost hit flat land again, stop at the Lycee Agricole (agricultural college), where you can enjoy fresh fruit juices, ice cream and homemade jams that are very popular across French Polynesia. 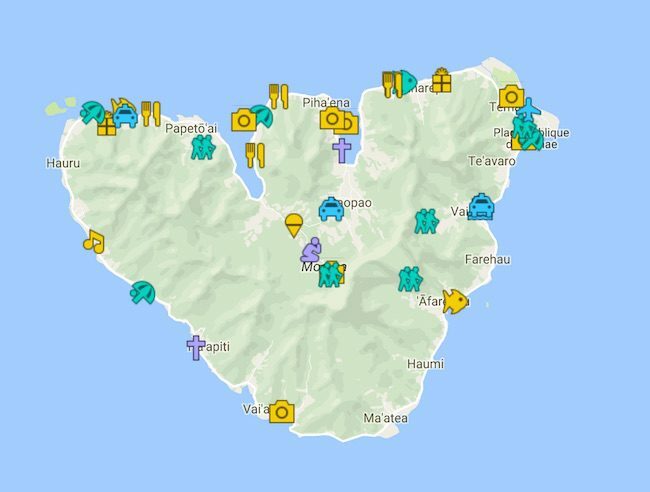 If you just happen to rent a 4WD, you can join the main road via the Pineapple Route and have a closer look at Moorea’s top cash crop. If not, explore the Pineapple Route on foot. Simply park your car at the intersection of the main road to/from the Belvedere and the turnoff to the Pineapple Route. 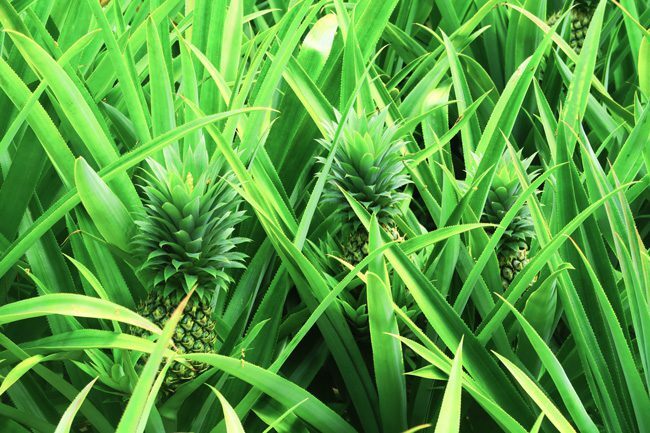 It’s a short walk from them into the pineapple fields, eventually reaching the parking lot of the new ‘Tiki Park’ where you can actually enter a working field. The views from the Belvedere are simply gorgeous but the ones at Magical Mountain are even better. 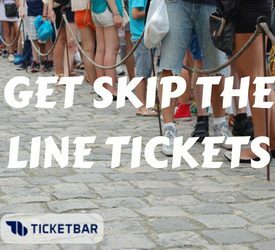 Head inland around PK21 and pay the small fee to one of the locals. ATV’s make it to the top a few times a day, but it’s only a 20-minute hike on foot. Up at the top, enjoy dazzling panoramic views all the way from Opunohu Bay to lagoon motus way out west! Time for lunch (finally). 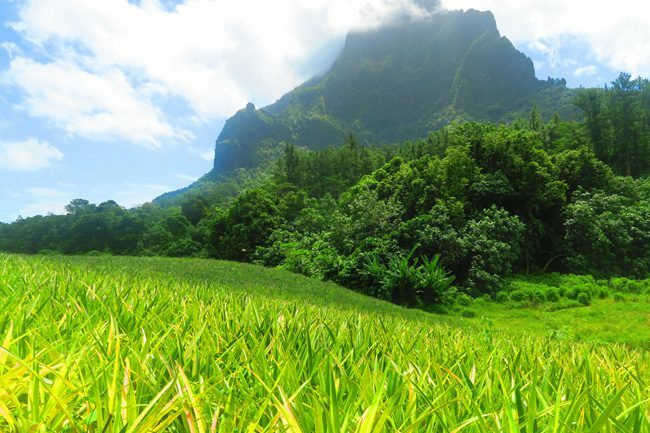 Drive to nearby Cook’s Bay and look for the turnoff to the Moorea Tropical Garden. Further up the hill, enjoy more breathtaking views but this time with some authentic Polynesian cuisine and a glass of fresh pineapple papaya juice in your hand. Oh, and there’s a cute little garden to wander around (obviously), complete with its very own mini vanilla farm. What better way to cap off this magical first day than at the beach. The good news is that you don’t need to drive too far. 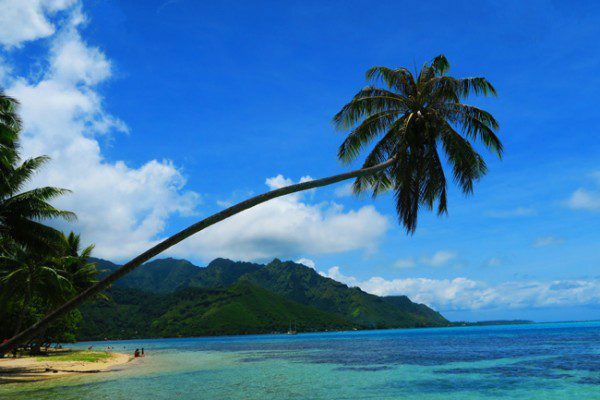 Just as you start rounding Opunohu Bay, you can’t miss one of Moorea’s public beaches – Mareto Beach (a.k.a Ta’ahiamanu Beach). Locals love hanging around the grassy lawn and children love somersaulting from the palm trees that somehow hang over the water. There’s a serious drop off just meters away, where plenty of fish like to hang around. So don’t forget your snorkeling gear OK?